1. Driver A (Angus) A Brosnan, 1321. Died in France on 27 September 1918, age unknown but probably 29. Served with 15th Battery off the 5th Brigade Australian Field Artillery. Buried in Roisel Communal Cemetery Extension IM17. Angus was a 26-year-old miner from Scarsdale when he enlisted at Ballarat in July 1915. He was just 5’3″ tall, with a dark complexion, brown eyes and dark, straight hair. He was a Catholic. Angus went overseas on the “Ceramic” which left Melbourne for Egypt on the 23 November 1915. He came down with mumps in March 1916 and was hospitalised in Abbassia (Cairo). He then transferred to the 1st Light Horse Training regiment and joined this regiment in the field in France on 15 September 1916. Just a week later he was detached to traffic control duties with the 1st Australian Division Headquarters. He went back to the Light Horse on 19 December 1916. He was back with HQ and traffic control in March 1917 and then detached to the 1st Anzac Cycling Battalion. In June 1917 Angus went sick with a case of gonorrhoea that saw him hospitalised in Rouen. He returned to the Light Horse Regiment from hospital. In September 1917 he was again in trouble when he refused to stop smoking in his billet – an environment where inflammable material was stored – and that earned Angus 96 hours of Field Punishment No 2. In November 1917 he was transferred to the 15th Battery of the Field Artillery Brigade as a gunner. He was made a driver soon afterwards. At the end of 1917 he got a two-week leave to Britain and may have taken the opportunity to visit Ireland as so many colonial Irish did in like circumstances. Angus was killed in action in September 1918 and is buried just a few kilometres away from Peronne, the town I stayed at for four days last month. I notice that he is buried alongside another member of his unit who was killed on the same day. I would guess that this may indicate they were members of the same gun crew and taken out by the same shell, although there is no further detail on this in the record. Peronne is one place that really appreciates Australians as they liberated it from the Germans in August 1918. There is a special Australian memorial there and the Aussie flag is much in evidence in the town. Angus’s next-of-kin was his sister Mrs Kathleen Sullivan of Smythsdale Victoria and he also had one brother Daniel Brosnan of Park View, Burgundy Street, Heidelberg, Victoria. 2. Private Jack J Brosnan, 2886. Died in France on 13 January 1917 aged 18. Served with 1st Australian Pioneers. Buried at Heilly Station Cemetery, Mericourt-L’Abee VE25. He was the son of Maurice and Harrie Brosnan and a native of New South Wales, born in Ballina. Jack was an apprentice printer with the Sunday Times newspaper in Sydney. The newspaper gave him a camera, engraved with his name, when he joined up (his mother later sought to have it returned by the Army after his death). Jack was admitted to hospital suffering from shell shock within a month of joining his unit in action at the end of June 1916 and then, having rejoined them in October 1916, he was fatally wounded by a shell in the right thigh and arm the following January. He was a fair-haired boy who stood just under 5’4″ tall and was a Catholic. When Harriet received her son’s personal effects after his death they included a rosary, scapular and pray book but there was no sign of his camera. 3. Private John J Brosnan, 2385. Died in France on 24 July 1916, age unknown. He served with the 12th Battalion, Australian Imperial Force. He has no known grave; his name is recorded on the Villers-Bretonneux Memorial in France. John Brosnan was a 31-year-old case maker in Perth when he enlisted in May 1915 but he was born in Collingwood in Melbourne, the son of John Brosnan. He was 5’10” tall, with brown hair and eyes and recorded his religious affiliation as Wesleyan. By August 1915 John was in action with the 12th Battalion on Gallipoli but within weeks he was struck down by dysentry and enteric fever and evacuated, first to Mudros, then to Alexandria and finally to England. He rejoined the Battalion in the field in France in July 1916 but again within just a fortnight he was reported missing in action and subsequently confirmed as killed in action. John’s elderly father died in April 1918 and the Army could find no other blood relations to mourn John junior’s loss or receive his personal effects and service medals. 4. Private John J Brosnan, 2083. Died in France on 28 August 1918 aged 42. Served with 4th Australian Pioneers. Buried at Crouy British Cemetery, Crouy-sur-Somme VI D17. John was the son of Hugh and Julia Brosnan. His enlistment record says that he was born at “Glenbeath, Kallorglan, Ireland” but I presume this is actually Glenbeigh, Killorglin. His next-of-kin is given as his brother Maurice, still in Ireland and with an address as Callyniska, Glenbeath, Kallorglan, Co Kerry, Ireland”. John was a labourer, a Catholic, aged 38 years and 8 months old when he enlisted at Rockhampton in Queensland on 16 February 1916. He was 5’10” tall with a dark complexion, grey eyes and dark hair. John went overseas on 1 May 1916, first to Egypt and then on to England in August where he joined a Pioneer Training Battalion. He got into trouble for being AWOL from an army base at Perham Downs the following month, losing 6 days pay and being put into detention for 72 hours. In November he crossed the channel, spending the customary couple of weeks in training at Etaples before joining his unit, the 4th Australian Pioneers in the field in France. He got a leave in England the following August and was then hospitalised when an old eye problem flared up. He rejoined his unit in October 1917 but his health continued to be a problem and he was detached to the Australian Corps workshops in March 1918. But his health continued to worsen and he died of disease (dysentry) on 28 August 1918. In January 1919 John’s personal effects were sent to his brother and sister, Maurice Brosnan and Julia Sullivan at “Collyniska, Glenbeigh, Co Kerry”. There wasn’t much: a disk, wallet, letters, photos, cards, a silk handkerchief, a religious book, a pouch and some religious emblems. John had made a will using the standard form in his army daybook on the day o this death, leaving all he had to Maurice and Julia, plus 50 pounds for the upkeep of his mother’s grave in Ireland. This replaced an earlier will from 1917 that John had lodged with solicitors in Brisbane. This sounds like a sad end to a lonely single man’s life. But maybe not. In John’s file there are a number of letters from people enquiring after him, having seen his casualty notice in the newspapers. One was his cousin, Miss Dymphna Sullivan of Shamrock Street, Blackall in Queensland where John had lived when he first came out from Ireland. The second was from a Mrs Thompson and a third from Miss Monica Thompon of Walsh Street, Newtown, Ipswich, Queensland. They were enquiring after any messages, letters of photos in John’s effects as he had been corresponding with another Thompson daughter, Ethel, since he left Australia and “she was doing some business for him”. According to Monica, John “depended solely on my sister”. Mrs Thompson wanted Ethel’s photo, her letters and small tokens returned. This sounds like a romantic connection after all. 5. Sergeant Patrick Joseph Brosnan, 22353. Died in Sri Lanka on 10 February 1919 aged 43. Served with the 7th Field Artillery Brigade of the Australian Imperial Force. Buried in Colombo (Kanatte) General Cemetery RC I39. He was the son of Jeremiah and Honora Brosnan and had been born in Co Kerry. Patrick was a 41-year-old miner when he enlisted at Black Boy Hill (Boulder) in Western Australia on 8 January 1916. He was separated from his wife and gave his mother Hanora (Honora) as his next of kin instead. She lived at 3rd Avenue, St Peters, Adelaide, South Australia, as did John’s sister Miss Margaret M Brosnan. Patrick was 5’10” tall, a Catholic, with a fair complexion, light brown hair and blue eyes. He was appointed as a Gunner with the 23rd Howitzer Brigade of the 109th Battery. Leaving Australia in May 1916, Patrick was soon promoted to corporal. He lost this rank after going AWOL for 38 hours on 24 September at Larkhill in Wiltshire but he won the rank back after deploying to France in January 1917. He transferred to the 7th Field Artillery Brigade (27th Battery) at this time and was subsequently promoted to Sergeant. Patrick was wounded on 30 September 1917 and evacuated to England for treatment. He also earned three weeks leave there in February-March 1918, a period during which he almost certainly made a visit to Ireland. After the Armistice, Patrick was sent back from France to the Reserve Brigade of the Australian Artillery at Heytesbury in Wiltshire. There, in early December 1918, Patrick caught the influenza infection that was sweeping through the troops. He was hospitalised in England at the Sutton Veny military hospital and then sent on to Australia per the ‘City of York” which left Liverpool for Australia on 14 January 1919. Patrick was disembarked at Colombo (in what is now Sri Lanka) on 7 February as a result of his illness and died in a military hospital there of pneumonia – a complication of the influenza infection – three days later. Patrick was buried in the Catholic section of the public cemetery at Colombo. A special war grave was supposed to be erected on his plot and his sister Margaret sent details of an inscription to be added to it. Her suggested wording “In Loving Memory of P J Brosnan, Beloved eldest son of the late J & Honora Brosnan of 3rd Avenue, St Peters, South Australia” was too long for the 66-character allowance. It was shortened to ” In Loving Memory Beloved eldest son of the late J & Honora Brosnan”. However by 1924 no gravestone had actually been erected and Margaret’s inscription request had been lost. Hopefully this was eventually sorted out; Patrick’s grave is an official war grave under the care of the Commonwealth War Graves Commission. Margaret also had trouble getting hold of Patrick’s personal effects. Three kit bags he was bringing back on the troopship went missing after this death and no insurance claim was allowed as the bags’ contents hadn’t been inventoried. They were supposed to contain presents from Ireland and souvenirs from France, which suggests that Patrick had probably made a visit home to Kerry during the war. Patrick’s war gratuity was paid out to his mother following his death, while through the war he had made an allotment from his pay to his sister, who was also the sole beneficiary of his will (made in France in June 1917). When Patrick’s service medals were being sent out, enquiries were made about his wife who would have had a claim on them. Honora informed the Defence authorities that “My son told me that he was married sone years ago in West Australia but he had not been living with her for the past twelve years and believed she had married again”. No trace of the ex-wife could be found and so Margaret received Patrick’s medals subject to a sworn statement that she would return them to the Department if the wife showed up looking for them. It seems unlikely that any of these men had any direct descendants and in some cases their immediate families seem to have died out too. Perhaps there is no-one left to mourn their loss. If so, I hope that this brief account of their service will act as a small tribute in their memory from Clan Brosnan. Meanwhile, I have decided to focus my research over coming months on all the Brosnans and Brosnahans who served in WWI. This seems like a good way to remember their efforts and honour their memory, whatever we might think in retrospect about the cause they were serving. 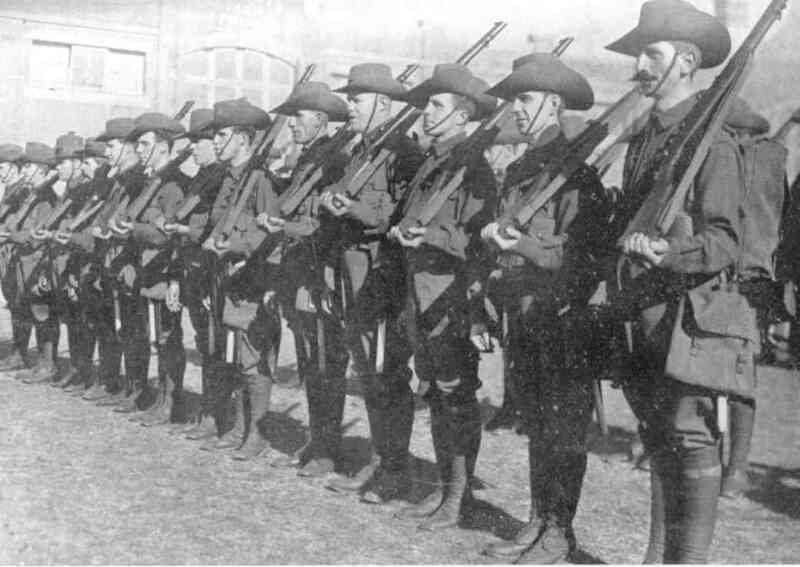 In fact I hope to throw into the mix those clan members who were opposed to war service, such as Tim Brosnan who went on the run in New Zealand rather than accept his conscription to fight for the British King. But first of all I want to set down all those who served and paid the ultimate price for their service. To begin with the focus will be just on men (there are no women) who carried the Brosnan or Brosnahan surname. Eventually I hope to extend this to other clan members who have a different surname but share Brosnan ancestry. Feel free to add information, images, or more names if you can. 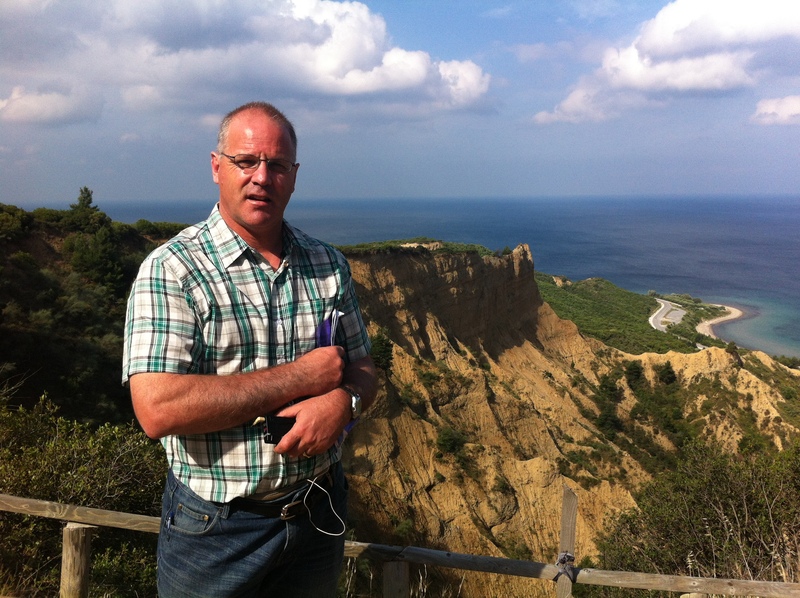 Russells Top Lookout, Gallipoli with The Sphinx behind me. 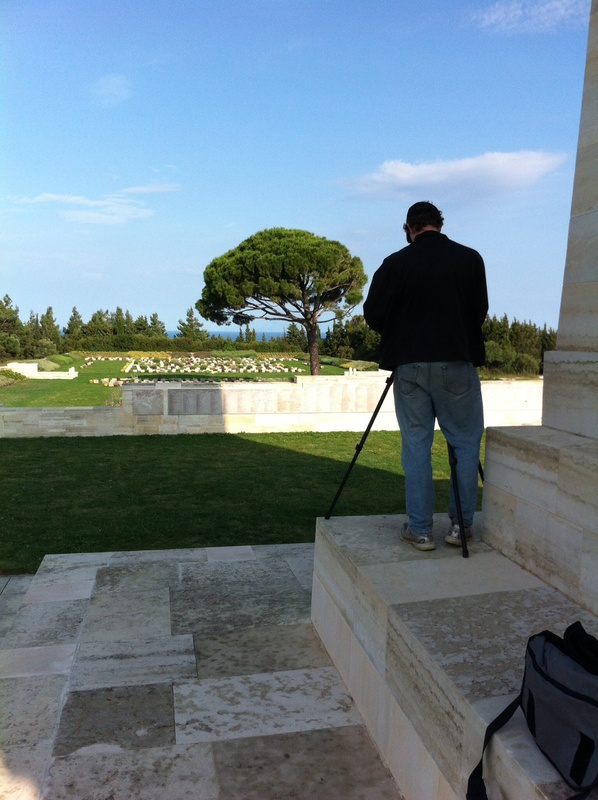 Filming at the Lone Pine Memorial in Gallipoli.